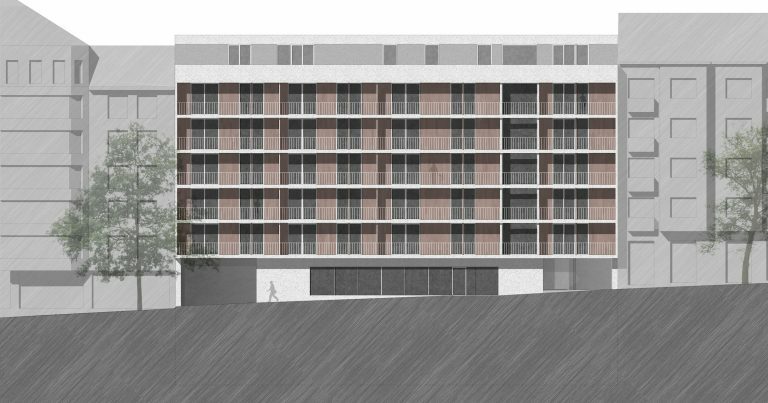 Architectural design: Hetedik Műterem Ltd. - Monostudio Ltd.
Our proposal is based on the composition of three characteristic building blocks. 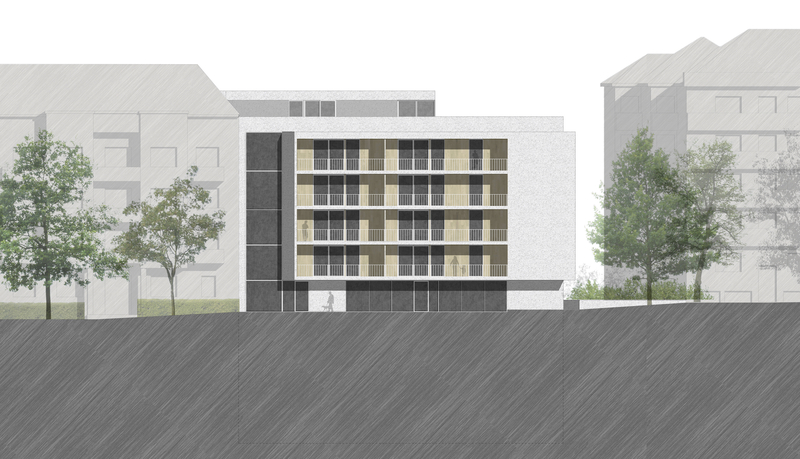 Two wings are following and closing the building line of the street, thus creating space for the third freestanding building, situated inside the urban block. 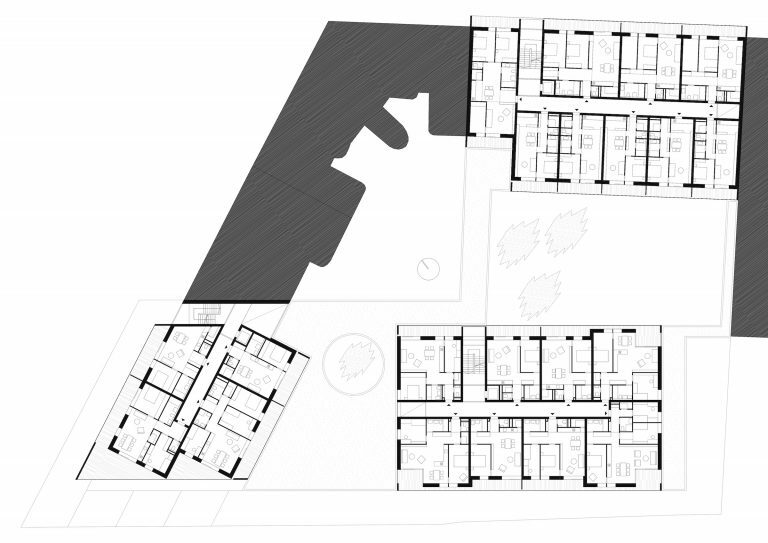 The disposition into three parts enables the exact tuning of the spatial relations of the inner courtyard, the views and sight lines and the orientation to ensure optimal conditions for the dwelling units, regarding both their relation with each other but also with the adjacent existing buildings. 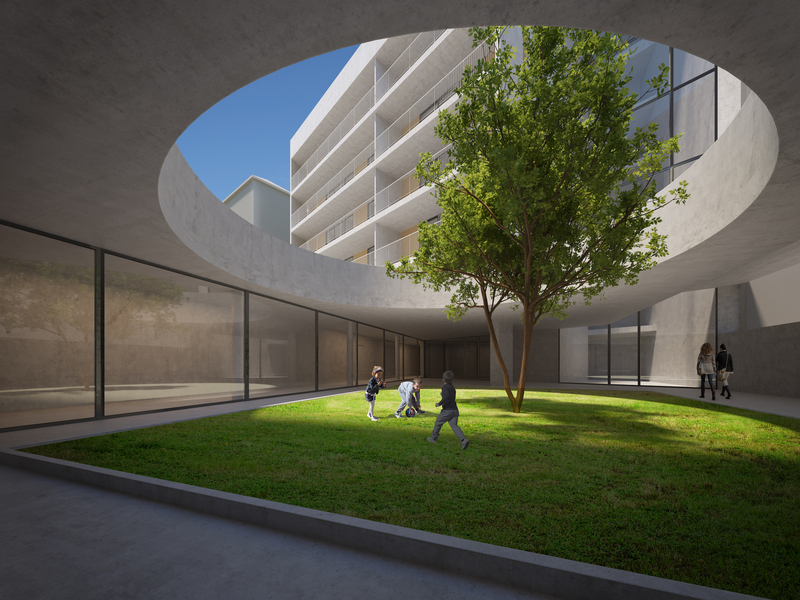 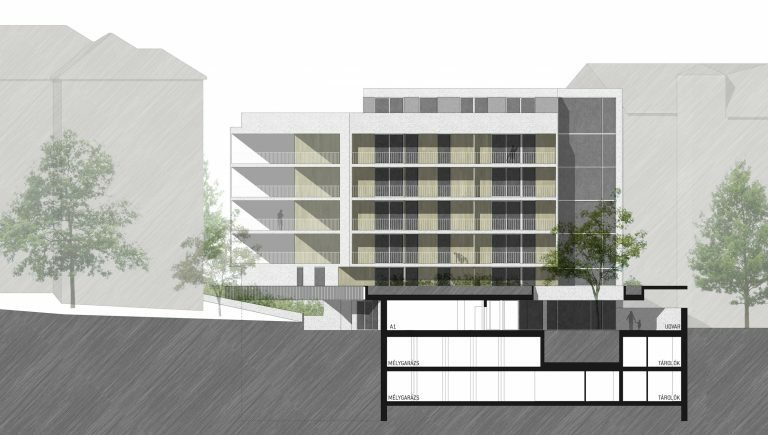 The spatial organization is dividing the requested large-scale program into inhabitable, conceivable parts and creating a clear and transparent interior courtyard into the direction of the existing, adjacent, three-storied green spaces. 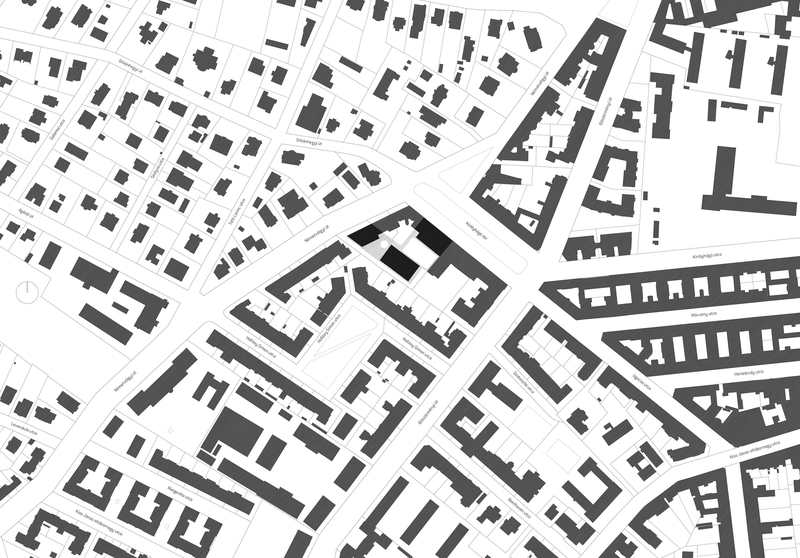 The resulting character of the building layout – in accordance with the spatial openings of the adjacent buildings – is related more closely with the areas of the district defined by loose and freestanding development, than the dense, residential quarters with tenements. The clear and open organization achieved by the division is further augmented by the passage-like opening of the contiguous construction of the ground floor, which is following the shape of the site from the entrance at the Németvölgyi street until the Királyhágó square. 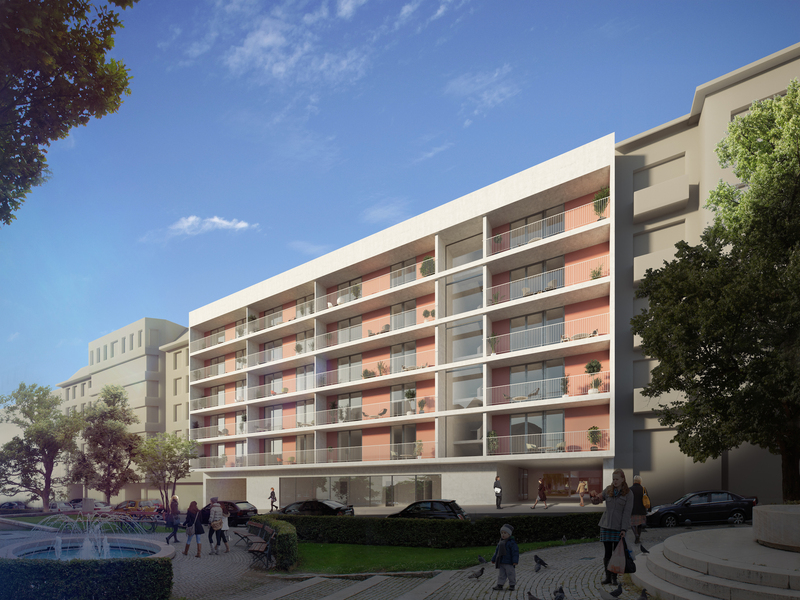 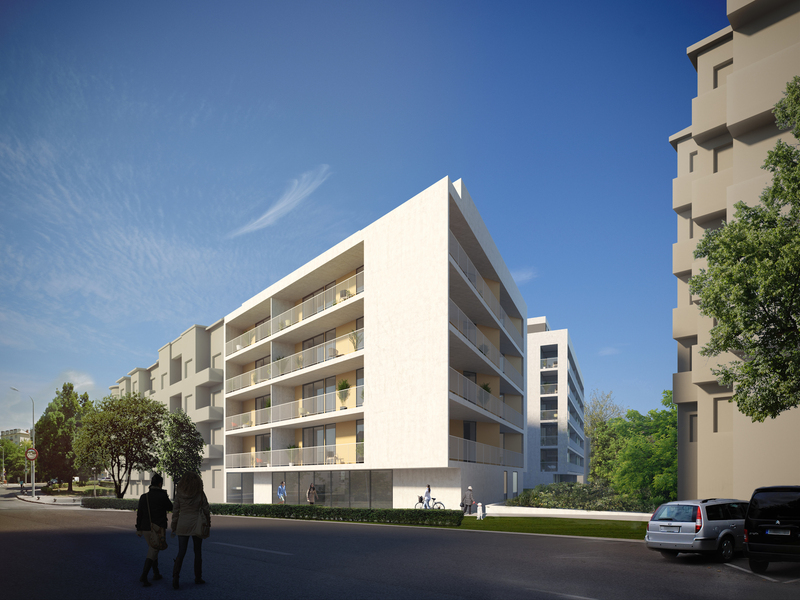 The passage accessible for residents is bordered by covered and open spaces, green areas and courtyards. 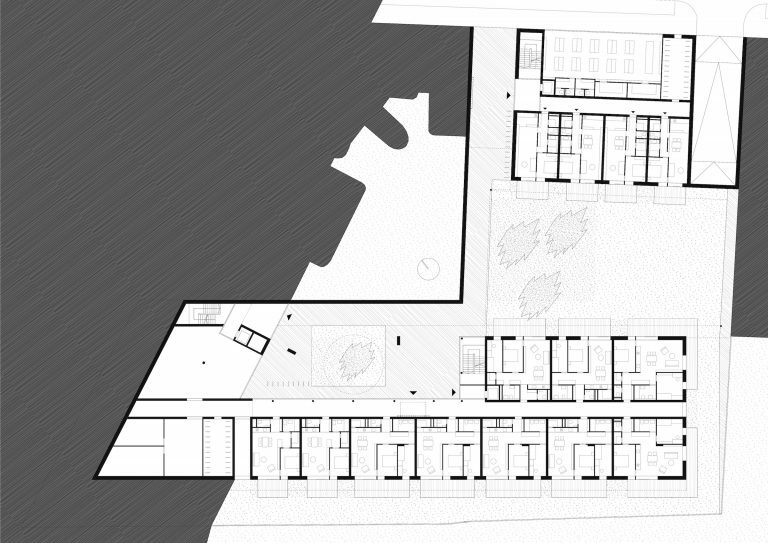 The entrance and staircase of the buildings is attached to the passage, thus enabling their free approach. 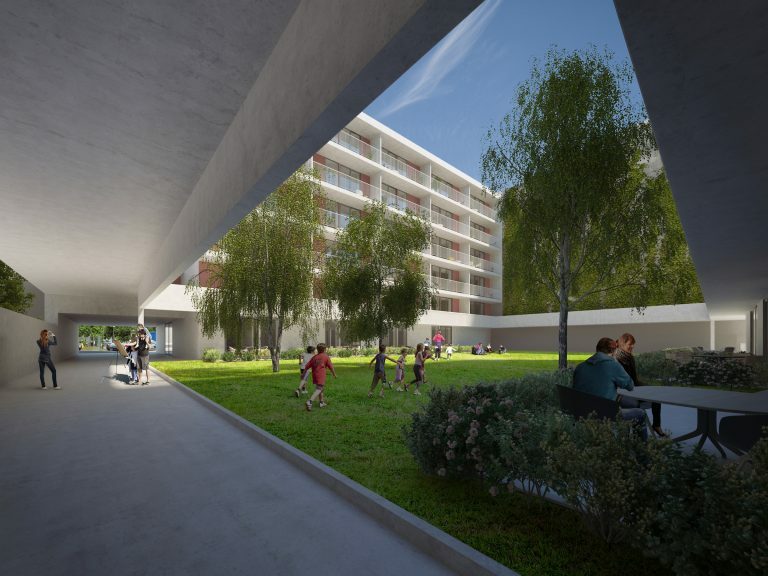 The covered passage is connecting the blocks without disturbing the life in the courtyard.